What’s not to love about winter? There’s something you can’t beat about being wrapped up in a blanket in your toasty house, walking around outside and seeing the holiday displays, and, of course, enjoying winter food! There’s no denying that Korea gets cold during the winter months, so popular cuisine tends to shift towards warm and spicy dishes that will warm you up. If you’re planning on being in Korea over the next few months, be ready to enjoy some Korean winter food that is as unique as it is tasty – there’s nothing quite like it anywhere else in the world! Read on for a list of the best of the best – we’ll fill you in so you can give some of these a try during your stay in Korea! If you plan on wandering around outside and checking out all that Korea has to offer, be prepared to face some frigid temperatures. Pick up a hotteok to make your outdoor adventures ten times better! 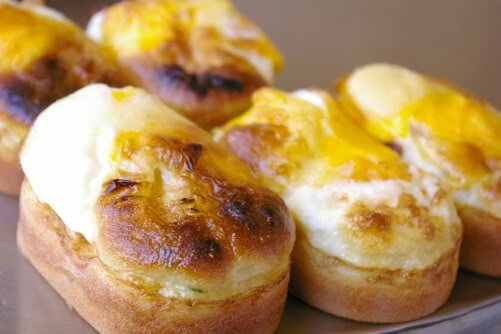 Hot, sweet, and gooey inside, Hotteok is the perfect winter comfort snack. This snack tastes like the best donut you’ve ever had – sure, it’s doughy and delicious, but it’s also full of a thick, sweet syrup and rolled in sugar after for a finishing touch. When you buy it, it is nice and hot so it is a great food for those cold winter months. Although the name is a bit odd, don’t knock it before you try it. This snack gets its name, ‘fish bread’, from the shape of the presses used to make it, so it’s rather literal and does not mean that there are fish products in the snack. The goldfish shaped pastry hides a sweet red bean paste center, making it an easy favorite for anyone with a sweet tooth. 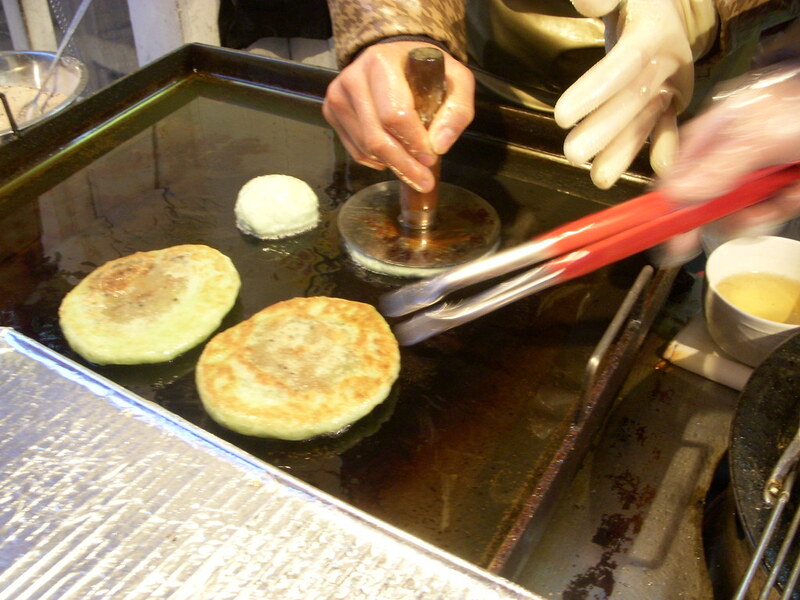 This snack is sometimes called 잉어빵 (ing-eo bbang) and is usually sold in groups of three (because really, who wants to eat just one of these tasty treats?). 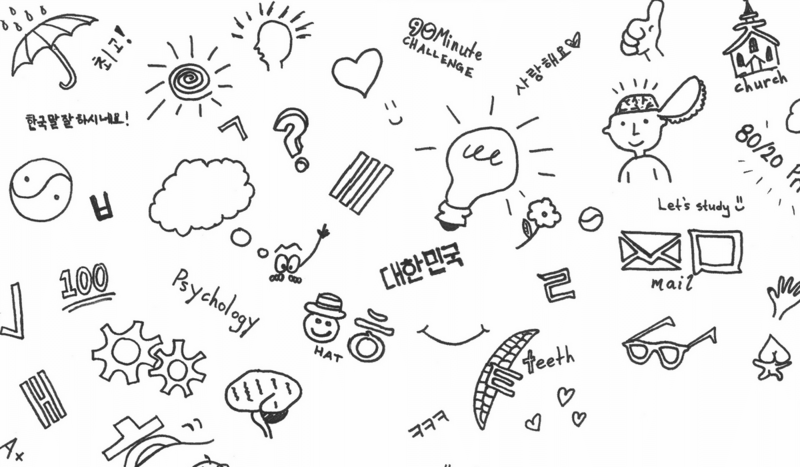 The identical shape of each snack has led to the word 봉어빵 (bong-oe-bbang) being used as a slang expression meaning ‘exactly alike’, so don’t be confused if you hear it used in other situations. Pick up this snack the next time you want to eat something sweet without indulging in a full blown dessert – be sure to let us know if you do the impossible and can stop after eating just one! Are you looking for a snack that is simple but still does a great job warming you up? If so, be sure to check out gunbam and gun goguma! 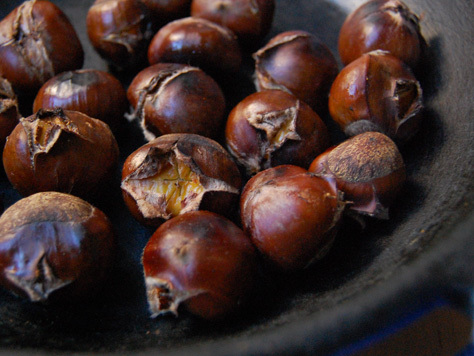 These simple snacks are simply roasted chestnuts or sweet potatoes, and you can find them pretty much anywhere as the weather gets colder. Both are warm and sweet, making them a popular winter snack. Pick up this snack if you’re looking for something quick and easy to eat that will give you some relief from the chill. It’s a favorite for a reason! 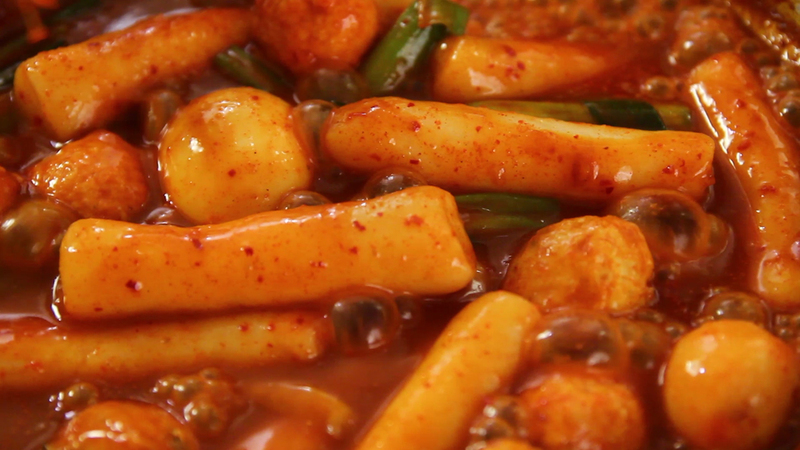 If you’re looking to indulge in something less sweet, go the spicy route with ttokpokki. These spicy rice-cakes are one of the most well-known snacks in Korea, and for good reason. They are popular throughout the year, but are eaten more often in the winter months – maybe because spicy snacks can be known to make you sweat, so the added spice combats the chill? Makes sense to me! If you want to try ttokpokki with a twist, head to Tongil Market (Just west of Gyeongbuk Palace) and try some fried ttokpokki, because who doesn’t love their favorite snack fried? Ttokpokki is easy to come by, so make sure to add it to your list of ‘must try’ winter foods while you’re in Korea. You know the drill – when it gets REALLY cold out, it’s time to layer up with gloves, a hat, and a scarf to make sure you’re not miserable trekking around in the cold. This is true in Korea, too – usually by the time December rolls around, it’s consistently cold enough to require gloves at the very minimum. Koreans also like to carry around something called ‘hot packs’ to keep in their gloves and add an additional heat element on an extra chilly day. If you can’t find hot packs while you’re in Korea this winter, a natural alternative is to buy some steamed corn and hold it to warm up your hands. 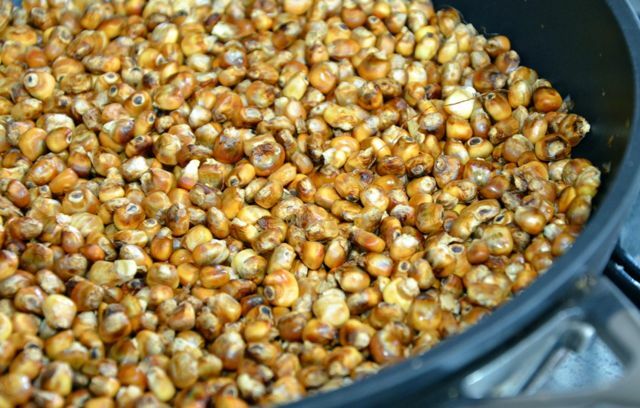 Bonus: after the corn has served its purpose, the corn then makes an extremely accessible and filling snack. Win/win! Pick up some chal oksusu this winter and take advantage of both perks. If you find yourself on the road while you’re in Korea, you know that hodu gwaja is a tasty snack that is a staple in Korean truck stops. This tasty, warm snack contains walnuts and red bean paste, so it’s no wonder it’s popular with people traveling long journeys – the sweet red bean paste provides quick energy, and the walnuts provide an extra protein punch to keep you going throughout the day. If you aren’t planning any trips this winter, fear not, you can still get your fill. They are sold on the streets of Seoul, too! Pick up some hodu gwaja for a quick treat that will energize you to see as much of Korea as you can. There’s a lot to do, some you’ll need a pick me up to get through it all! Did you know that Korea has its own version of porridge? If you did, you probably know that it’s an insanely popular comfort food during the winter, and for good reason. 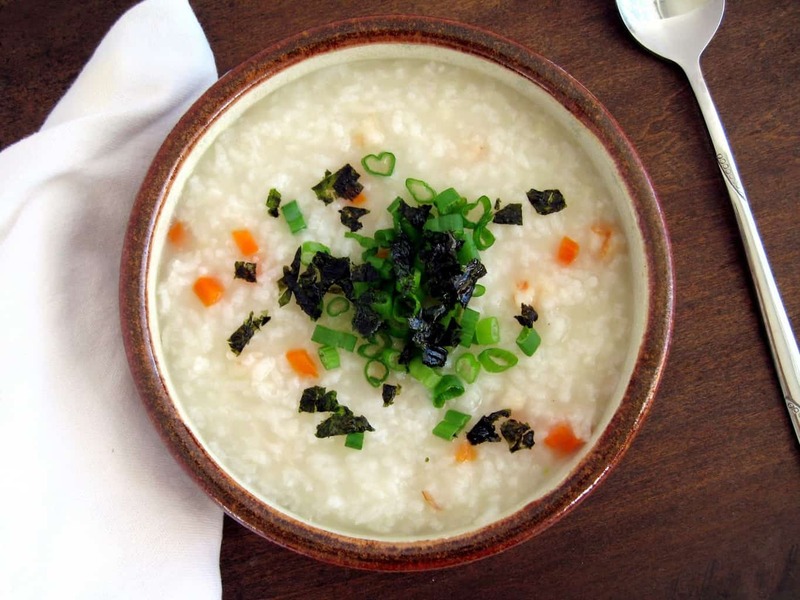 Korean rice porridge, or ‘juk’, is great at warming you up in winter. 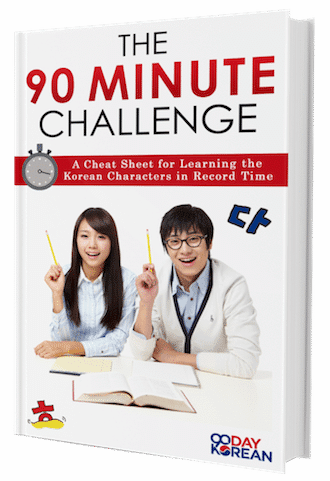 It’s also inexpensive and easy to make, so it’s a crowd favorite and a go-to for many Koreans. 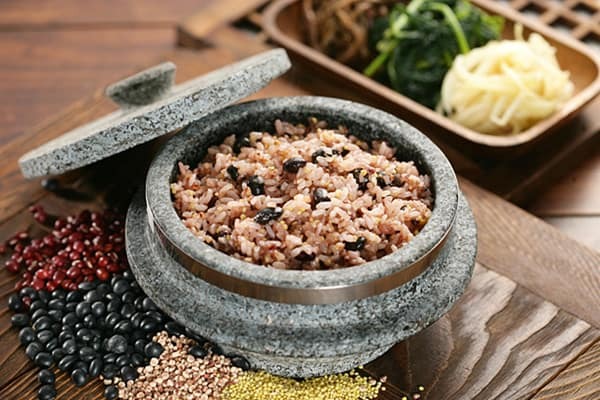 Red bean porridge is another winter favorite among Koreans – because who wouldn’t love porridge with some sweet red bean paste to brighten things up? Make yourself a bowl of juk the next time you need some warm comfort food – you won’t be disappointed. Similar to porridge being popular because of how warm and filling it is, these two soups are popular go-to winter meals because they’ll warm you right up. As if warm soup isn’t amazing enough when it’s cold outside, there’s more! Mandu-guk contains dumplings whereas ddok-guk is full of rice-cakes. If you can’t decide between the two, then you can sit on the fence and order 떡만두국(ddok-mandu-guk). It has both dumplings and rice-cakes in it, so knock yourself out! Are you getting your five-a-day? This simple dish is made from five different types of rice. The different flavors of each variety of rice make it interesting to eat on its own, but it is usually enjoyed as part of a meal. It can also stand alone as a hearty and filling dish if you get enough of it. Cook up a pot of ogokbap and do your body some good! If you’re an egg fan (and really, who isn’t? ), make sure to add this warm and tasty snack to your must-try list when you’re in Korea! Gyerang bbang is kind of like savory French toast, except instead of soaking bread in egg and then frying it, the whole egg is stuffed in there. Sound amazing? That’s because it is. Pick up some gyerang bbang the next time you need something warm and filling on the go – street vendors sell this snack everywhere, so it’s easy to find! If you’re a seafood fan, then you will LOVE this Korean winter snack! 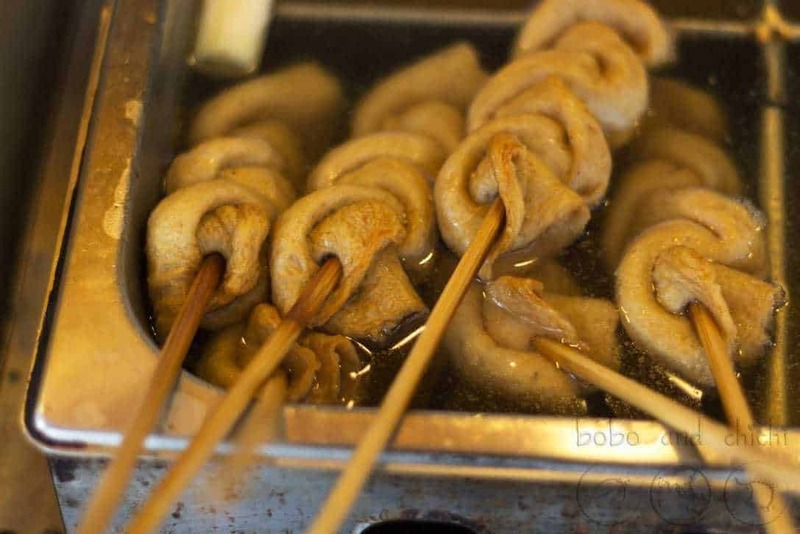 Odeng is a fish cake made from flour combined with fish and turned into a paste, which creates a tasty cake that is then skewered. 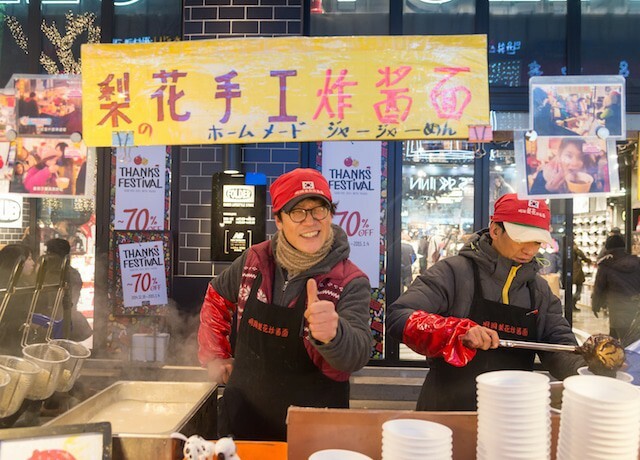 Though fish cakes are amazing in and of themselves, the broth that they are prepared in is the real treat – spicy and steaming hot, the broth will warm you right up and make you forget that it’s winter. You can find this unstoppable combo sold on trucks throughout Korea, so be sure to take advantage the next time you have the chance! 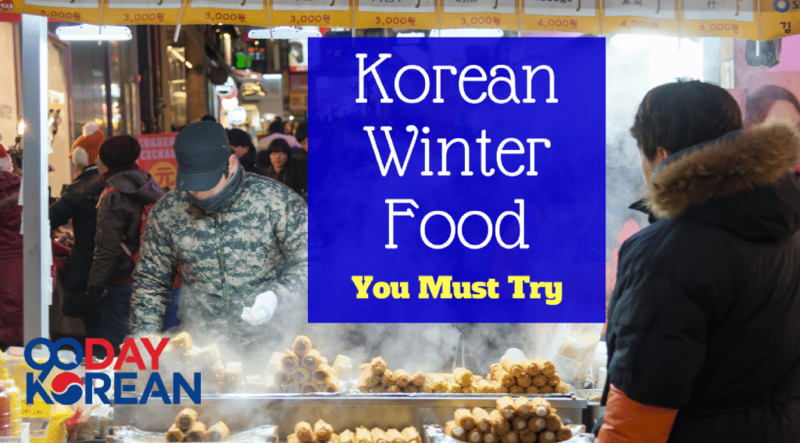 Now that you know more about Korean winter foods, you can give them a try! 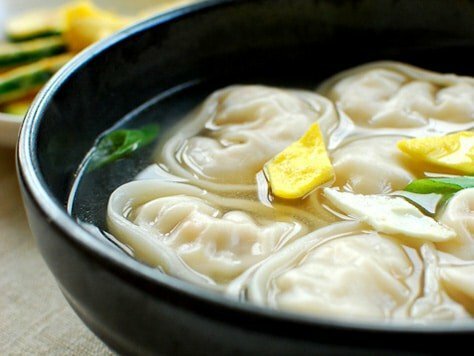 Do you have a favorite Korean winter food? Be sure to let us know in the comments below – we always have room for new favorites!